Paribus Review: Is Paribus Safe & Legit? Paribus reviews seem to be few and far between, so I decided to create one myself. Here is my Paribus review. Want to sign up for Paribus? Sign up here. Paribus is a relatively new startup that wants to help online shoppers get money back when prices drop. The reason Paribus has been so successful lately is because prices change REALLY often in e-commerce stores. Like, way more often than brick-and-mortar. In fact, Amazon alone makes about 80 million price changes every single day. What most people don’t realize is that there’s actually a way to get money returned to you when those items go on sale, because most retailers will offer some sort of price match guarantee. The problem is that it’s usually a hassle for consumers to take advantage of it. 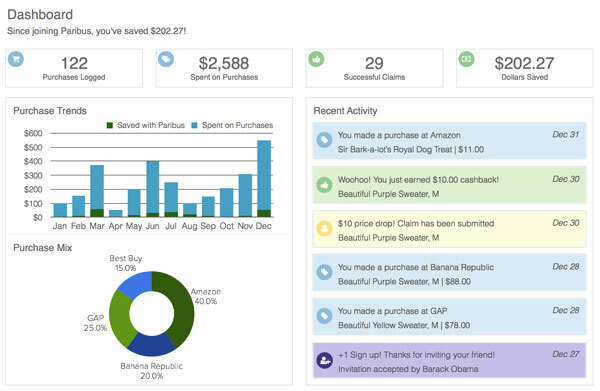 Paribus tracks the price changes associated with your online purchase. If the price is lowered, Paribus will follow the store’s procedures to file a claim on your behalf to get your money back. It’s all automatic, so you can sit back and relax. Besides the initial setup, there’s virtually no involvement on your end. The setup basically requires that you authenticate your email via their website. From there, Paribus will scan the receipts in your inbox and check the prices for you. Paribus saves me a lot of effort because it understands the nuances of each store’s individual policies, which can be confusing. For example, Amazon price matches TVs and cell phones with competitors, but only matches its own prices for most other items. Plus, the different stores all have different procedures when it comes to filing a claim. Some stores want you to use an online form, some want you to do it via email, etc. Again, Paribus handles all that. Paribus only makes money when it finds savings. If they don’t save any money for you, they don’t get paid. They take 25% of whatever savings they find for you. I feel like that’s a fair price to pay, figuring you aren’t doing anything. They call their commission their “success fee”. One of the nice little surprises was that they go back 30 days from when you first sign up. So I actually saved money from purchases I made in the previous month. Not bad! Not my dashboard, but it's an example of what it looks like. They scan your email. Some people might not be comfortable with a company scanning their email on a regular basis. But guess what? You can create a brand new email account and funnel your shopping through that email account. They take 25% of the money they save you. Would you rather have 75% of free money or 0% of free money? I think it’s a fair share. If you don’t shop online much, you won’t save much. This is true, but Paribus is free, so why not just link it? Yes, Paribus is safe. The biggest obstacle I see with Paribus is the fact that you have to attach your email account to the system. Like I said before, you can just create a dummy email account – problem solved! Paribus doesn’t actually live in your inbox. It places hooks to detect and pull messages based on sender and subject alone (like if Amazon sends you something). Inbox security still stays under the supervision of your email service provider, like Google or Microsoft. Paribus has tons of security measures, like firewalls, VPN services, intrusion prevention systems and access controls. Paribus complies with the Payment Card Industry Data Security Standard. 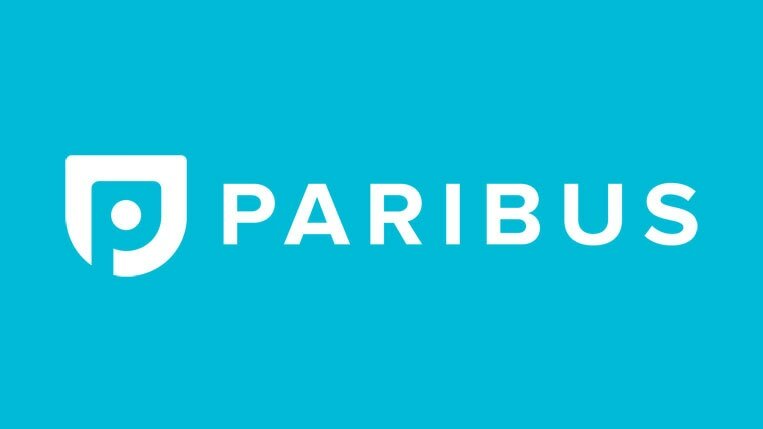 Complete credit card information isn’t stored on Parbius servers. Paribus transmits data securely via SSL bank-grade encryption. Any sensitive data is encrypted. While Paribus is safe, many people are just creating a brand new email account just for shopping. That means they get all the savings associated with Paribus while never mixing their personal information. While Paribus has a decent selection of stores, including Amazon and Wal-Mart, it doesn’t cover the entire internet. I know that seems like a lot to ask, but there are several smaller online stores I like to use. It would be nice if Paribus could extend their price-matching magic to the entire internet. Maybe this will happen sometime in the future. We’ll see! Stores will give you money back when prices fall. The only catch is that you have to ask for it and know all the nuances that come along with asking for it. Paribus does all that for you. All you have to do is sign up with your email. That’s literally it. As you continue your normal shopping habits, Paribus will scan and monitor all your incoming receipts, looking for any money that was left on the table. Each time they find a discrepancy, they file a claim on your behalf and the money owed – minus their 25% success fee – goes right back into your account. If they don’t save you any money, they don’t take a dime. So what do you have to lose? Sign up for Paribus today.